The challenges in implementing Agile were, and still are, significant. Government has an inherent bureaucratic nature, which naturally leans to tailoring projects around a waterfall development methodology. With Agile, the status quo is continually being challenged and state leaders/managers need to understand the business value and the different manner in which work will be performed. Another significant challenge is explaining the role of product ownership to the business. Although the product owner is a member of the program staff, they are an integral part of the agile development team – working side by side with the team – leading and guiding the project to a successful completion. The process of continuous improvement requires a different style of management and leadership to affect the procurement process. Agile challenges require having to continually demonstrate the best value through the RFP process and consistent delivery. This conflict involves replacing the standard government hierarchical approach to blame with a process of continuous improvement. Adopting an Agile methodology requires a significant culture change, which needs to be driven from the bottom up, person by person – with executive support from the top. The State of Maine has developed a repeatable method to approaching culture change in their organization. Their Agile Center of Excellence (CoE) actively seeks out a group of people, trains them in Agile methodology, and mentors them in delivering project success. The Agile CoE ensures these new Agile cells, or teams, have the right support to deliver project value. Agile radiation through proven results and word of mouth has been the key to rapid adoption in the State of Maine. The training the State of Maine provides to these Agile cells is not expensive, but does take dedicated time and resources. The training is critical to ensure the proper discipline is instilled and the same simple things are being completed the same way, every time. Newly trained scrum masters and product owners are teamed with more experienced people in the same roles. This apprenticeship program provides additional training, mentoring, and monitors new teams when they are ready to go out to the field. The business supports this apprenticeship program as they receive the benefit of free resources for two sprints. Maine CoE will not charge the business until they are sure the newly trained Agile resources will deliver business value. The Agile CoE in the State of Maine is completely focused on the discipline of the methodology. Every person who works with Agile, or wants to work with Agile, belongs to the CoE. Every member of the CoE tells the same story, approaches the methodology the same way, and uses the same tools. The CoE also functions as an Agile research lab, experimenting with different standards and tools. The usual tools of project management – mission, goals, roles, and a high level definition of done – can be found in Maine’s Agile CoE. For story mapping, they use sticky notes on a large wall or whiteboard. Demonstrating progress this way provides for positive team dynamics and a psychological bang. 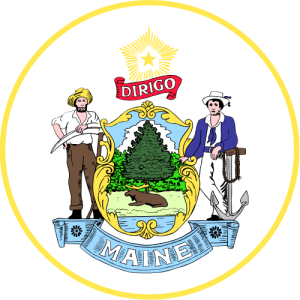 The State of Maine uses a project management framework that serves as their single source of truth. Everyone knows what’s going on at all times and understands the purpose of what they are doing. The Agile team is continually looking for components that can be reused across other agencies and programs. The State of Maine believes that the positive culture change with more collaborative and supportive teams, is the most important benefit of adopting an Agile methodology. The culture change is permeating across the state and increasing the visibility of the value of Agile methodology. Other significant results include the traceability of projects and the ability to regroup quickly if something is headed south. According to the State of Maine’s Agile CoE, all projects are suitable for an Agile methodology – nothing is too big or too small, – or too bureaucratic.